Hey there! I’m Kathie from Tried and True Teaching Tools, and I am beyond excited to be guest blogging today at Rachel Lynette’s Minds in Bloom! I was asked to write about making thinking clear to students, a topic near and dear to my heart! A fantastic resource is Making Thinking Visible: How to Promote Engagement, Understanding, and Independence for All Learners by Ron Ritchhart, Mark Church, and Karin Morrison. With so much focus these days on memorizing facts and learning information for tests, our kids have been lacking in learning how to actually think. Teaching effectiveness is often based on student absorption of material, and teaching becomes defined as the delivery of that material. But we are producing effective test takers, rather than successful learners who think! When thinking is visible, it provides us with the information we as teachers need to plan and help our students go deeper. 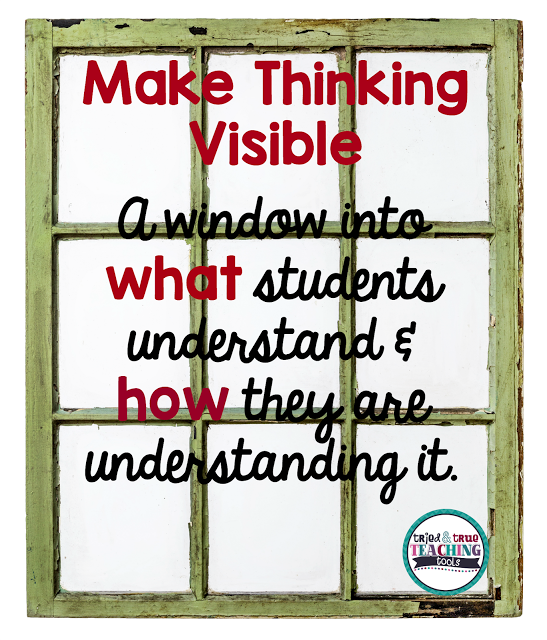 Making thinking visible should be an ongoing aspect of effective teaching. Our kids need to see and hear us (teachers) as thinkers and learners. They need to hear each other’s questions, insights, and perspectives. HOW to Make the Invisible Visible? The most important criteria is that WE, ourselves, must be clear about what thinking is! 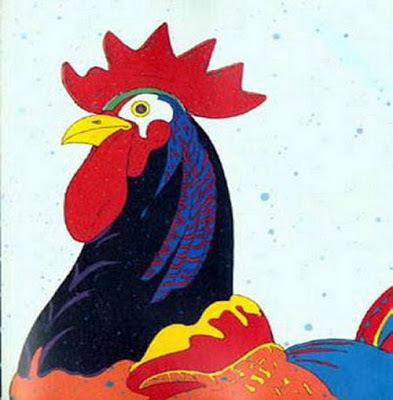 And finally the rooster is only a tiny part of a whole farm scene. My kids never tire of looking through these books! Zoom In is a terrific routine to teach perspective! 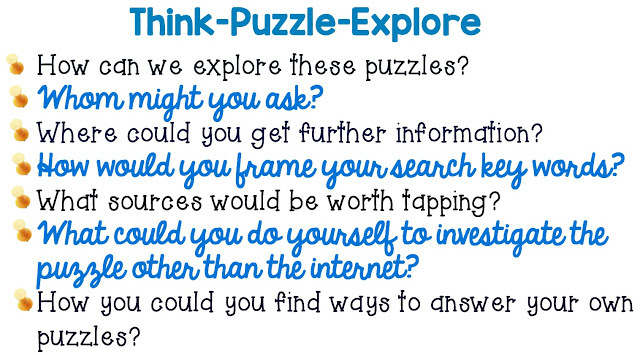 Think-Puzzle-Explore is similar to KWL charts that we were all taught in our credential classes. However, the problem I always had was the “K:” Students would volunteer all sorts of responses to what they thought they knew, but those responses did not necessarily include accurate information. This routine connects learning to their prior knowledge, yet sets the stage for deeper inquiry. (This routine should certainly be revisited throughout a unit!) The key to Think-Puzzle-Explore is the Explore section: After asking, “What questions or puzzles do you have?” then ask, “HOW can we explore these puzzles?” It’s not enough to just have questions, but these puzzlements should truly be what learners want to find out about. I Used to Think…, Now I Think… is a reflective routine that focuses students on their thinking rather than just having students summarize what they learned during a unit. It redirects students to how their thinking has changed. It may be helpful to connect this with Think-Puzzle-Explore so that students have recorded what they initially thought at the beginning of a unit or even during a unit. Red Light, Yellow Light teaches students not to read unaware or not to accept all that is read as truth. 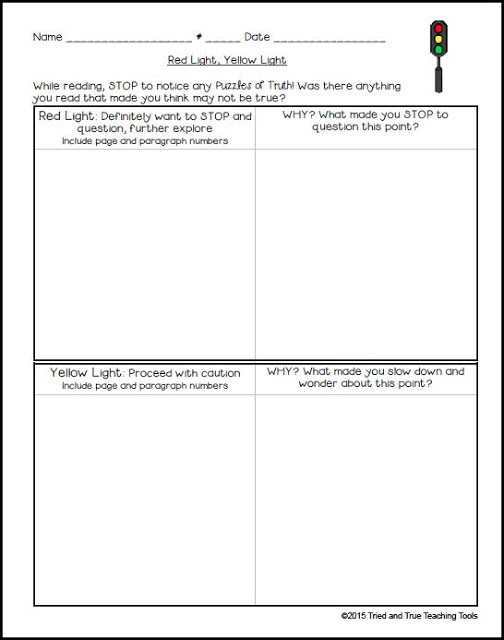 This thinking routine is helping students to become more aware of specific moments that hold signs of possible “puzzles of truth.” (Don’t you love that term?!) Select materials such as opinion articles, unsolved mysteries or other sources with possible conflicts. I was thinking as the upcoming 2016 Presidential election draws closer, there will be many Red Light, Yellow Light moments from candidate speeches, ads, and platforms. Introduce the selected material to your class; you may not want to disclose the source or say anything that will prejudice the reading. Students work individually, in pairs, or in small groups to search for and identify possible “puzzles of truth.” Red lights are parts of the reading that make you definitely stop to question. Yellow lights are places to proceed with caution. This routine will cause students to actually think about their reading rather than read just to complete an assignment. Then, have students provide reasons as to why they categorized their red and yellow lights. After sharing ask the class, “What have we learned about particular signs that indicate there could be a problem or puzzles of truth?” This thinking routine works well with the signposts in Notice and Note: Strategies for Close Reading by Kylene Beers and Robert E. Probst. 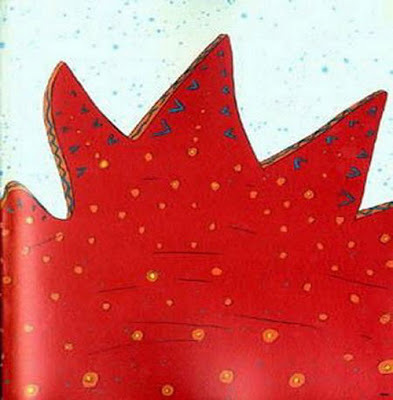 (Another fantastic book that changed the way I teach reading!) The authors also note the importance of helping students identify places where the claims are solid (green lights) and what makes them solid.I’ve created a recording sheet to use as I’m teaching my students this thinking routine; you can grab your copy here or clicking on the image below. Who doesn’t like a competitive game of Tug-o-War? This thinking routine identifies two opposing sides of a problem or a situation. As in the physical game of Tug-o-War (and I may actually introduce this routine with a real rope and students on sides outside! ), the strongest kids work best as anchors at the end of the ropes, while the “weaker tugs” in the center are easily pulled over the center line. (Although I won’t initially tell this to my class; it will be trial-and-error so they can discover this.) Often, children blurt out an opinion without carefully thinking about the issue. Tug-o-War encourages students to initially suspend a side and think about multiple pulls or reasons in support of both sides of the issue. The generation and exploring of multiple supporting ideas is the key to developing deeper thinking. Identify a dilemma for students (this can be in the form of a picture, a text, or a video). Ask, “What seems to be the issue there?” Then, draw a line with a small central intersection to represent the rope and sides. Have students name the two sides of the rope (opposing viewpoints). For each side, ask the class for the tugs, or reasons, that support that particular viewpoint. Kids record reasons/tugs on sticky notes. In small groups or as a whole class, discuss where to place the tugs (remember to emphasize the stronger tugs are further at the ends of the rope.) Focus on how the tugs compare with one another in strength. Discussions on a tug may ensue with, “That depends…” Those reasons may be moved closer to the center with a different colored sticky note labeled, “It depends.” I myself have always had (still have) difficulty with multiple choice tests because I can justify my answers with “it depends.” (And this is NOT what test makers intend!) This routine could be followed up after the unit with the “I Used to Think… Now I Think…” routine. What a visual way to demonstrate growth in thinking! You can read more about thinking routines for each stage of the learning process here. I created a “cheat sheet” of Thinking Routines and to which skills they relate. You can grab your copy here! How do you get your students to understand their thinking? Kathie is still just as passionate about teaching after 29 years! She loves creating “tried and true” materials to use with her students and to share with other teachers. Visit Kathie at Tried and True Teaching Tools.